We partner with Successful Tax Professionals from across the country who wish to differentiate themselves in the marketplace by offering Tax Efficient Wealth Management and Retirement Planning Solutions. 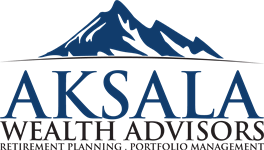 An alliance with Aksala Wealth Advisors is a partnership-like arrangement in which CPAs work with our Wealth Advisors to help their clients in the pursuit of their investment objectives and financial goals. Through this alliance, the accounting firms add value to their client relationships and establish a revenue share with Aksala, as their clients meaningfully benefit from the coordinated strategy developed by the alliance. Our strategic alliance with CPA’s and Tax Professionals is a referral capacity and not in a sales-role, in order to retain their fiduciary role with their clients. Many CPAs seek formal alliances to share fees and others choose to not share fees; either way, the clients benefit of a true family office experience. A formal alliance: Aksala shares fees with the entity of the ‘introducing’ CPA – without costing the client an additional fee. In an informal alliance: Aksala works closely with the ‘introducing’ CPA on behalf of their clients in a non-fee sharing relationship.